Ahhh, the hot cloth cleansing balm. I don’t know, theres something about cleansing the skin with a muslin cloth that seems all too holistic to me. A little bathroom retreat where you can shut out the world and get down with a little face/neck lymphatic massage. So I started my very own Goldilocks search to find just the right balm to add to my skin care routine. It seemed so difficult to find just the right one! 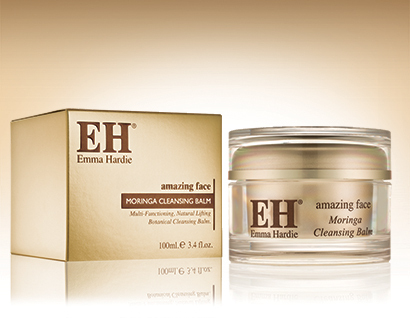 There’s the Emma Hardie Morina Cleansing Balm (available only in the UK), a cult classic, but sadly for me, a touch difficult to get here in the states. 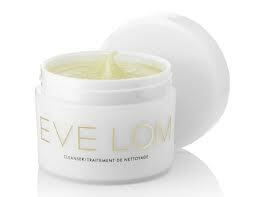 Then there is our own state side cult favorite by Eve Lom, one I was dying to get my hands on, however given the steep price I just couldn’t pull the trigger on it. Good thing I didn’t, as after reading the ingredient list I decided that if I was going to spend the money, I would need to justify by it finding one that was at least organic and contained more natural ingredient’s. 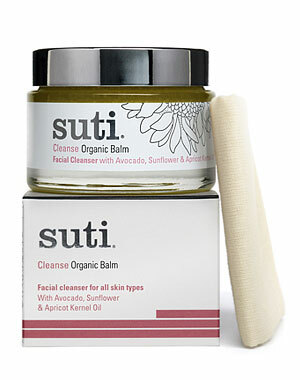 Enter the Suti Cleanse Organic Balm, discovered via my favorite lux beauty site Beauty Habit. The perks of this organic cleanser stop at the price, as $50 for a cleanser is pushing it, even for me. However, I wont lie that I won’t one day break down and give this one a try. My journey ended today when browsing through the skincare aisle at Target. 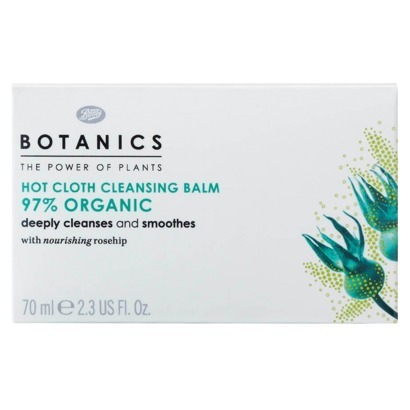 For some reason I never really looked closely at the offerings from Boot’s , however what did my little eyes see but a hot cloth cleansing balm, for the lovely price of $8 (and some change). The Boots Botanics Organic Hot Cloth Cleansing Balm is 97% organic & smells delicious, it also left my skin so soft and moisturized. I could probably have savored the experience a bit more, as per the directions one should massage the balm over the face and neck (I did this dry and just kind of spread it on). Followed by soaking the accompanied muslin cloth in warm water and gently compressing over the face; I did a kind of wax on wax off motion, seeing if it would pick up any residual makeup left on my skin after my pre-cleanse with a makeup wipe ( It did!)). Finish by soaking the cloth in cold water and gently pressing over the face to close the pores. I never did believe pores could open and close, however the final step felt refreshing and allowed me to remove whatever cleanser was left on my skin. All in all, this ones a winner.